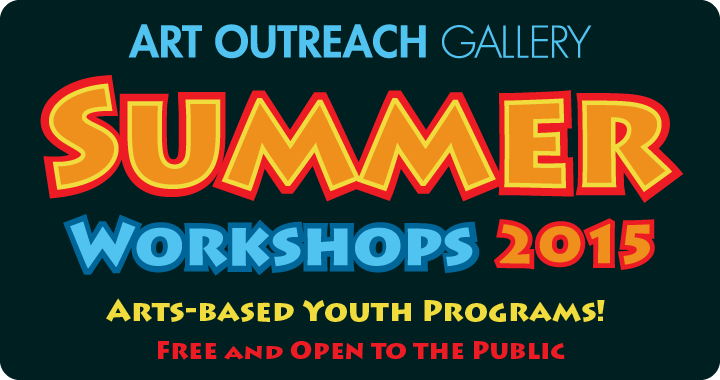 Art Outreach Gallery: Art Outreach Gallery 2015 SUMMER WORKSHOPS! Art Outreach Gallery 2015 SUMMER WORKSHOPS! Completed, signed workshop registration forms may be turned in at the Eastwood Mall information booth (in the mall center court). Alternatively, registration forms can be faxed to: 330-544-5929. Please note, class sizes are limited--so be sure to register early! Printed workshop information booklets and registration forms may also be picked up Art Outreach Gallery and the Eastwood Mall information center. You can also view and download registration forms by CLICKING HERE. Below is a list of this year's workshops--please check back soon at this webpage for additional workshop information, including schedules, class instructors, class descriptions, calendars!